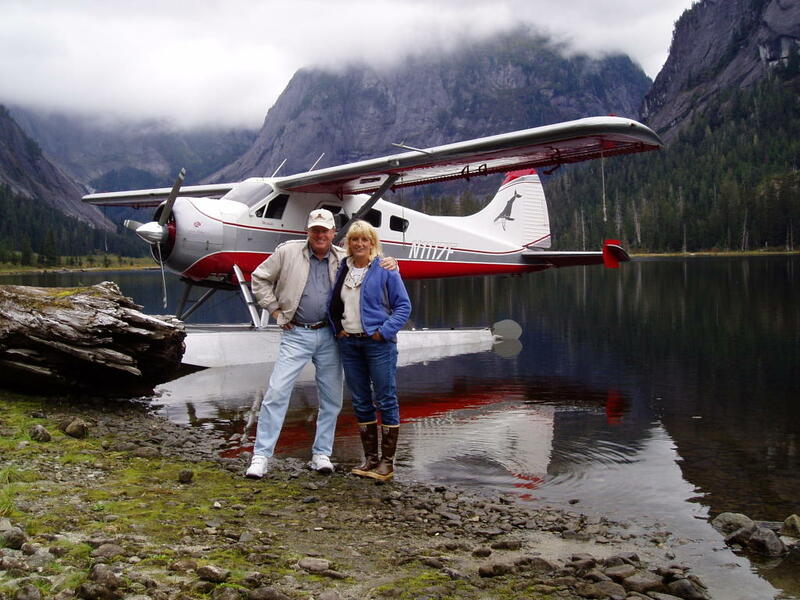 While on our recent Alaska cruise I was lucky enough to book a truly fabulous sightseeing flight out of Ketchikan with Michelle Masden, the pilot/owner of Island Wings. Tagging along were Lynda, her dad, my brother-in-law and another couple -- all will verify that the scenery along our flight in and around Misty Fjords was truly spectacular. This is a not-to-be-missed adventure if you are ever in the area. Michelle flies what must be the most pristine, well-maintained Dehavilland Beaver anywhere, her piloting skills are unmatched and get this -- there's no security line to go through prior to boarding, no TSA yahoo telling you to take off your shoes and every seat has its own window. Admittedly, Michelle is unable to award frequent flier miles and you'll have to take along your own peanuts -- but that's o.k. You will not find a more enjoyable flying experience anywhere. I guess I missed the "catch" review. too bad. I am one of the silly producers who risks my life on those boats and also act as the show's DP. Hope you liked it. As a producer yourself I bet you could appreciate what it takes to get a film like this done. You can find our review of DEADLIEST CATCH at our website -- www.needtovent.com. As you will see, we greatly admire the program and we continue to acclaim it as one of the very best shows on American television. I had a great time flying with Michelle in Ketchikan this past summer myself. She's a great lady, excellent pilot, and first class person. Competence born of experience. "There's old bush pilots, and bold bush pilots. But old, bold, bush pilots are rare..." Never be afraid to say, "We're going back, weather's bad. ", or, "We're not going today, sorry."